NEF has become best known in Egypt for its support of talented young people working in development-related fields. A generation of Egyptian professionals traces its inspiration to the 1970s and 80s when NEF began promoting committed, professional practices at both institutional and community levels. These activities culminated in 1990 with the creation of the Cairo-based Center for Development Services (CDS), NEF’s training and technical assistance facility. CDS has since expanded to become an independent and self-sustaining organization – one of our great successes in promoting sustainable local enterprise – that maintains close ties with NEF. In 2001, NEF established Egypt’s first volunteer center to mobilize at-risk youth and to provide opportunities for them to realize positive change in their lives and communities through volunteerism. In its early years, the Egypt Volunteer Center registered over 4,000 volunteers – nearly half of them female – along with almost 400 organizations and over 250 youth centers representing all 24 Governorates of Egypt. The Center is thriving today, and the model has been replicated across the country more than 50 times. In 2005, NEF issued the first report on corporate social responsibility in Egypt, reviewing the private sector’s role in environmental protection and natural resource management and proposing strategies for cooperative partnership among government, industry and NGO’s. In Cairo’s Al-Darb Al-Ahmar community, NEF rehabilitated housing, constructed an urban park, and established community-based institutions to serve citizens in such areas as health and the arts. From 1999-2003, NEF helped place over 1,300 people in jobs, empower local organizations, and form four women’s advocacy groups. Over 900 people received skills training and 30 job placement sites were established. Hundreds of income generation activities were funded through a newly established revolving credit fund, a sustainable financing system that continues to provide ongoing support for community improvements. Building on this experience, NEF spent nearly a decade developing private-public sector partnerships to create community coalitions with the collective ability to solve complex social and economic problems. 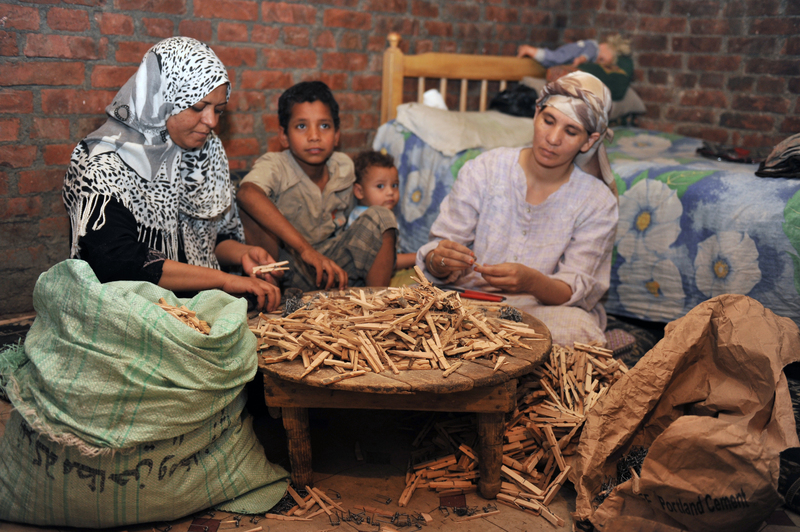 In poor communities across Egypt, children and young adults have received training in life skills and leadership, and gained improved knowledge of health and sexuality to prevent their exploitation. NEF-trained professional and peer counselors provide continuing support services to youth through dedicated counseling centers established through the project. An NEF nursing program (2001-2008) created jobs for 600 women while working to improve curriculum and teaching in 15 nursing schools, as well as increase the quality of care in 25 hospitals in Upper Egypt. Impoverished, unemployed young women were provided with an opportunity to advance their education, build a career in nursing, and earn a reliable income. The project created a core team of nurses to continue the improvements as well as quality measurement tools for nurses. In recognition of this work NEF was awarded the AgFund Prize, funded by the Sawiris Foundation. For over 20 years, NEF has worked with farmers in the Nile Valley, focusing on efficient water use in Egypt’s ancient canal irrigation systems. In recent years, NEF has supported over 2,000 farming families to increase food security and improve incomes. Resettled to the area around Lake Nasser in Upper Egypt, the farmers face great opportunity in “new lands” and great risks from climate change. To help farmers adapt and thrive in their new environment, NEF provided training in more ecologically-sustainable, market-driven farming practices. Farmers also learned improved water conservation strategies, and built their skills in marketing and financial management.